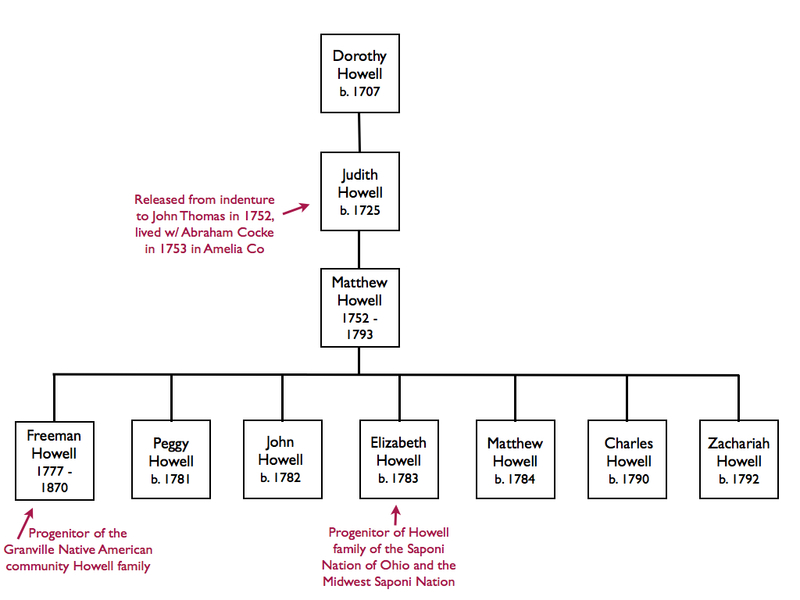 The Parker Family: Occaneechi Saponis living in Granville, Orange, and Alamance Counties. The Native American Parker family of Granville County are a large and integral part of the community. Most of the local families intermarried with the Parkers, so they’re an important family to identify and document. 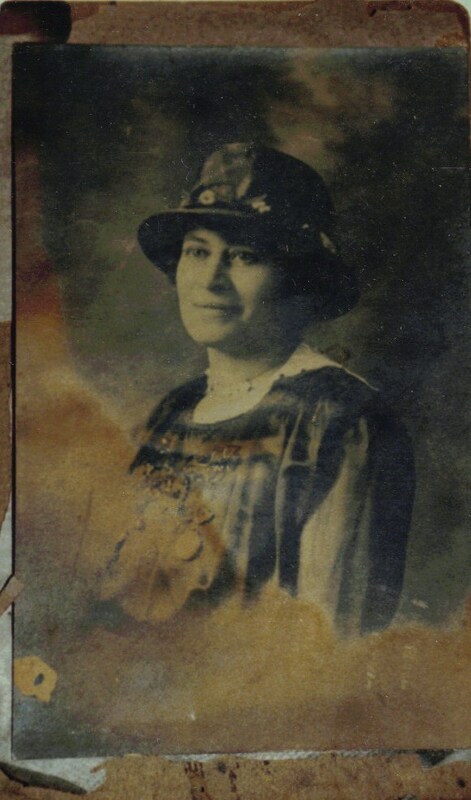 The Parker family of the state recognized Occaneechi Band of the Saponi Nation of neighboring Orange/Alamance Counties, are from this same Parker family and will be included in this blog post. So let’s continue! Stephen Parker (b. 1778) first appears in the 1820 census for Mecklenburg Co, VA. Sadly the 1790, 1800, and 1810 censuses for Mecklenburg Co did not survive to the present, so we don’t know much about Stephen Parker’s early life. In the 1820 census he is the head of a household of 8 “free people of color”. He is recorded again in the 1830 census for Mecklenburg Co but his household numbers were not properly recorded so I don’t know how large his household was. I have not located Stephen Parker in the 1840 and 1850 censuses. Stephen Parker’s household in the 1820 census in Mecklenburg Co, VA. He appears to have a wife and 5 daughters and 1 son. 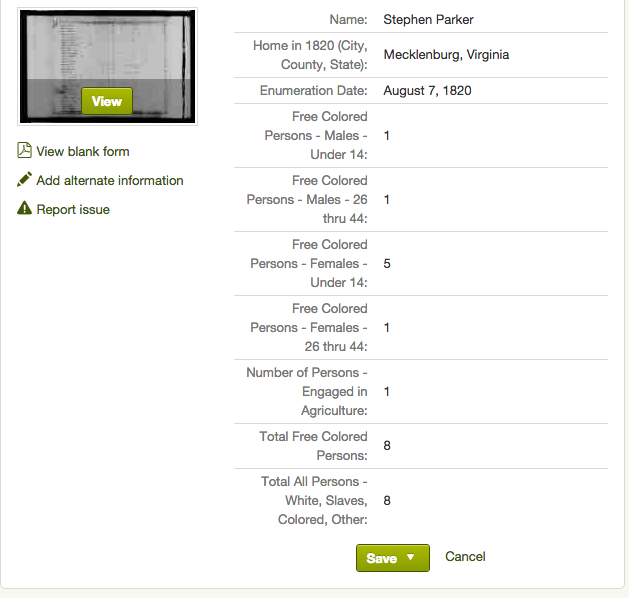 In the 1860 census, Stephen Parker is still in Mecklenburg Co and is listed as 82 years old. Living in his household are 3 Parker women who are probably his daughters. Another important clue that lets us know we have identified a probable early ancestor of the Granville Parker family is that Stephen Parker was surrounded by the “free colored”/Native American Howell, Harris, Stewart, Cousins, Proctor and Mayo families that are from the same families found in Granville Co.
Stephen Parker, age 82 years old, living in Mecklenburg Co. He has 3 women with the surname Parker living in his household. Stephen is also listed as “deaf” probably due to his old age. 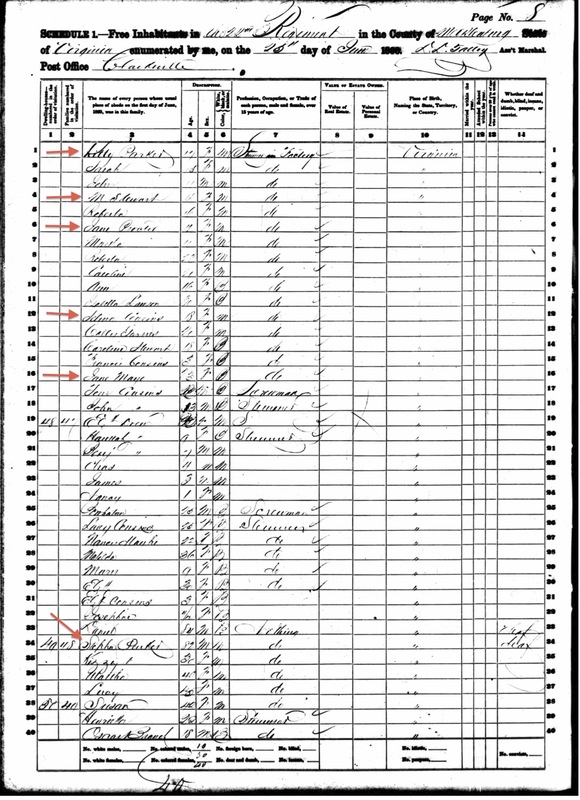 This is the entire census page that Stephen Parker is enumerated on in the 1860 census for Mecklenburg Co. You can see he is surrounded by many other Native American/ “free colored” families. These same families also lived in Granville Co. The Parker, Howell, Harris, Stewart, Cousins, Proctor, Mayo and additional “free colored” people who were clustered together in this 1860 census next to Stephen Parker, were all living/working on the grounds of the Moss Tobacco Factory. The company was created by Robert H. Moss along with brother Reuben Moss and George B. Hammett. The factory was built in 1855 during a time when Clarksville, Mecklenburg Co was the tobacco producing capital of the United States. In fact according to an 1859 report, the Moss Tobacco Factory was the largest tobacco producing plant in the United States. 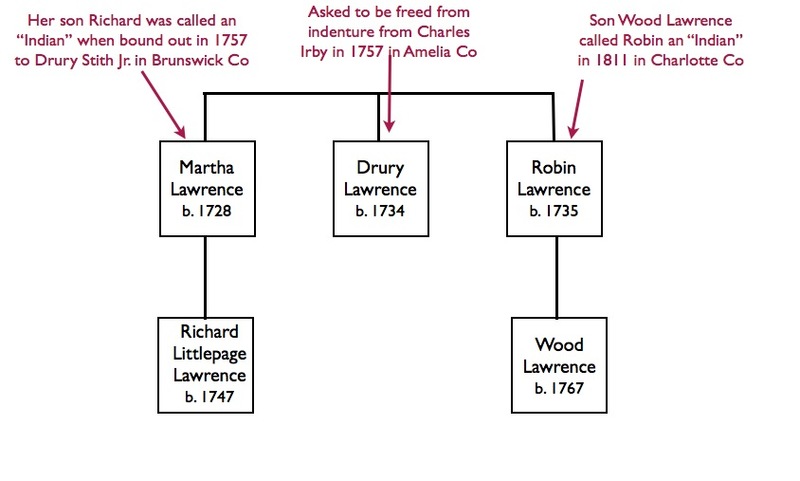 The Moss family “employed” 160 people. Some of these workers were “free colored” families including the Parkers. But the Moss family also “rented” slaves from nearby plantations, so they also used slave labor to produce their tobacco. 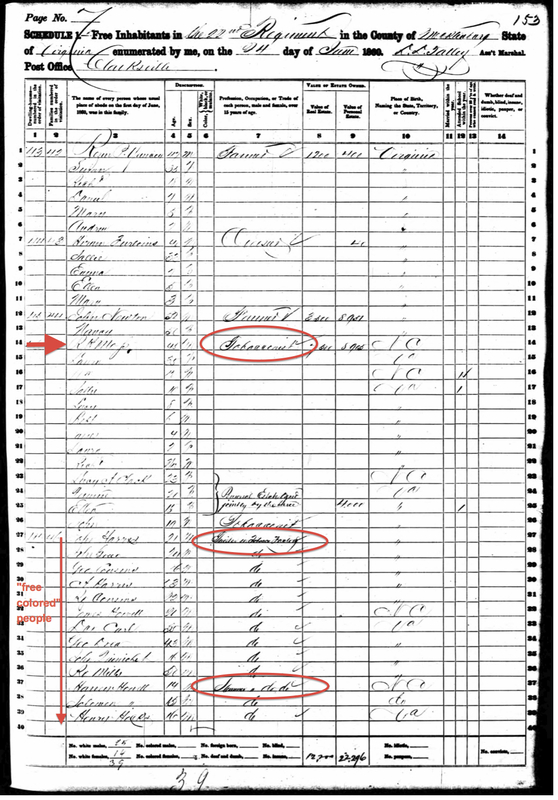 In that 1860 census, we see the “free colored”/Native American people who worked at the factory are listed with occupation titles such as “stemmer” and “twister”. Despite its early success, the tobacco factory closed in 1862 due to the Civil War. 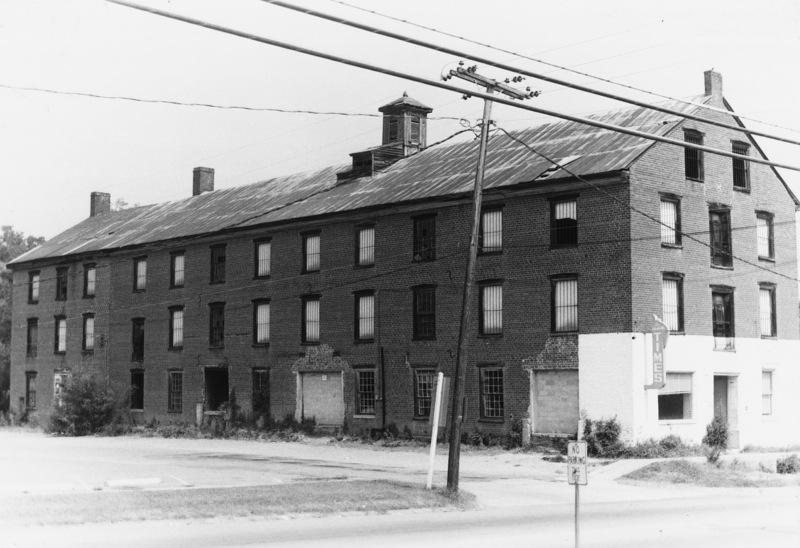 In 1979, the building that once housed the Moss Tobacco Factory was placed on the National Register of Historic Places, but was delisted in 2001. This is the census page previous to the one Stephen Parker is listed on. Moss Tobacco Factory owner Robert H. Moss “R.H. Moss” is listed as a tobaccoist. Below his family, you can see the “free colored” workers with their occupations listed as “twister” and “stemmer” in tobacco factory. The enumerator accidentally left their race column blank which would normally mean they were white. But this was simply an error as I can assure these same individuals are listed in other censuses as free people of color. This is the Moss Tobacco Factory building in Clarksville, Mecklenburg Co, VA. On this site, members of the Parker, Cousins, Howell, Harris, Mayo, and Proctor families worked side by side with enslaved people “rented” by the Moss brothers from nearby plantations to produce tobacco for the largest tobacco factory in the country from 1855-1862. I have not found any marriage records for Stephen Parker so I don’t know who the mother of his children was and it’s quite plausible he was married more than once. However from the 1820 census household numbers it is clear his large household included a wife, and 5 girls and 1 boy born on or before 1820. So with this in mind, let’s move onto Granville County. Susan Parker (b. 1816) married John Quinchett Dec 26, 1836 Granville Co. Susan Parker’s brother in law Allen Cousins was the bondsman. 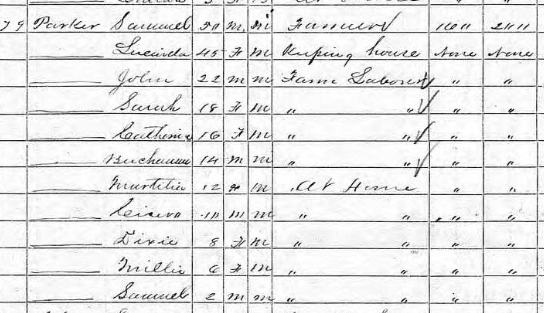 Elizabeth Parker and her husband Allen Cousins appear in the Granville Co census in 1830 and 1840. In 1850, they were in neighboring Person Co, and by 1860, they relocated their family to Ross Co, Ohio. 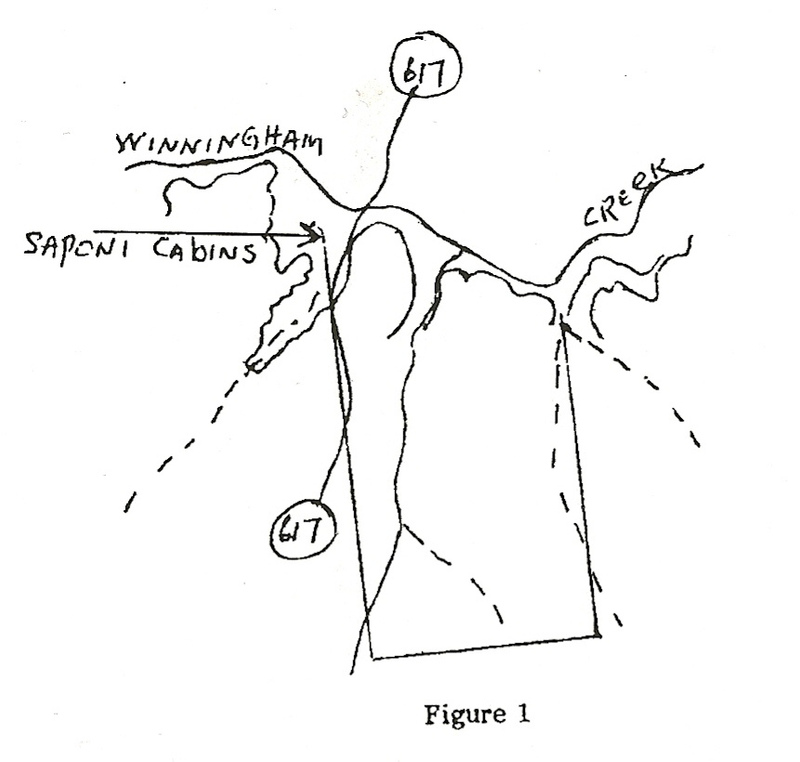 Their descendants are part of the Saponi Nation of Ohio and the Midwest Saponi Nation. 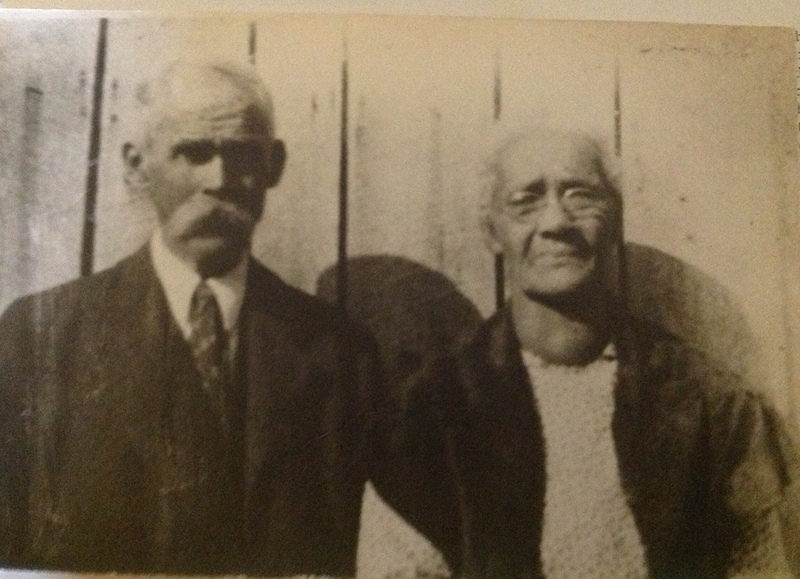 Susan Parker and her husband John Quinchett lived in Mecklenburg Co where their descendants continued to live and where the modern Occoneechee-Saponi Tribe of Virginia is. Siblings Henry Parker and Polly Parker remained in North Carolina, as did their Parker descendants, so let’s focus on their families. Henry Parker appears in the 1850, 1860, 1870, 1880 censuses for Fishing Creek township, Granville Co. We know that his wife Mahaly’s maiden name was Brandon through the death record of their son Junius Parker (1856-1929). Mahaly Brandon (b. 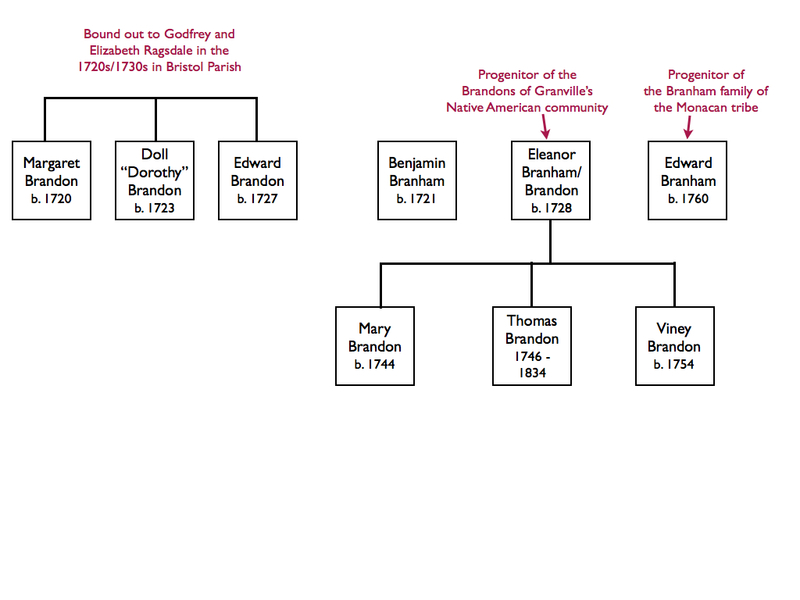 1805) was from the Native American/”free colored” Brandon/Branham family that has Saponi/Monacan tribal origins and I wrote a little piece on them here. 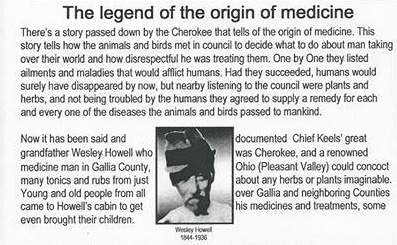 Mahaly’s father was Burwell/Burrell Brandon (b. 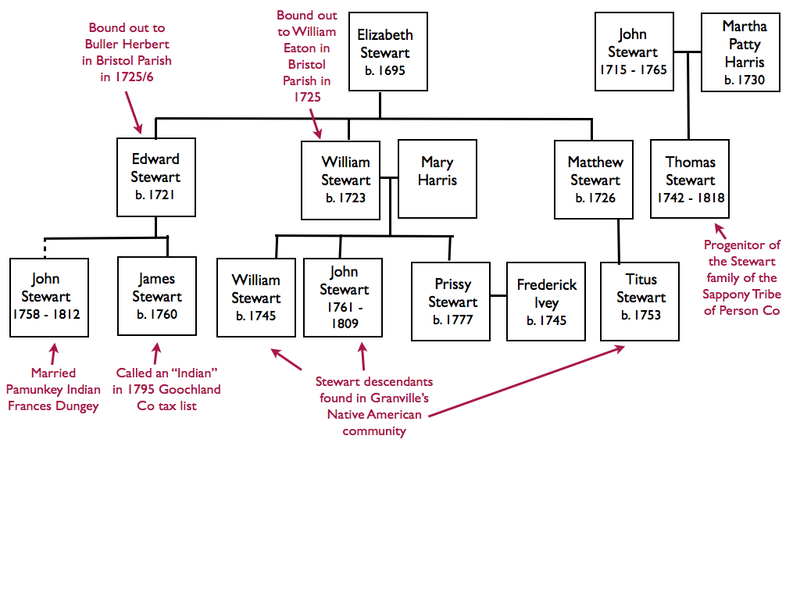 1785) who had moved his family from Virginia to Granville Co in the 1820s, which is the same time the Parkers first appear in the Granville records. Also it appears Mahaly named her son Burwell Parker (b. 1840), after her father Burwell Brandon. 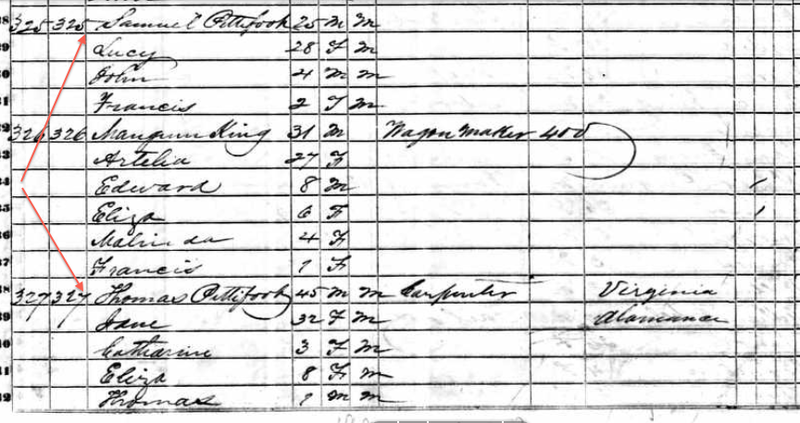 Henry Parker with wife Mahaly Brandon and their children in the 1850 census in Fishing Creek township, Granville Co, NC. Junius Parker’s (1856-1929) death certificate reveals some valuable information. His mother’s maiden name is Brandon and his father Henry Parker’s birthplace is listed as Virginia. Source: North Carolina State Board of Health, Bureau of Vital Statistics. North Carolina Death Certificates. Microfilm S.123. Rolls 19-242, 280, 313-682, 1040-1297. North Carolina State Archives, Raleigh, North Carolina. Alfred Parker (b. 1836) married Melvina Evans, Nov 20, 1854 Granville Co.
Susan Parker (b. 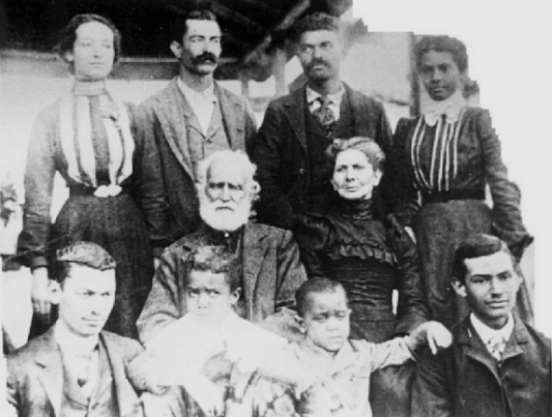 1838) married John Mitchell, Apr 13, 157 Granville Co.
As you can see, Henry Parker and Mahaly Brandon had a lot of children, most of whom remained an integral part of the Native community in Granville. 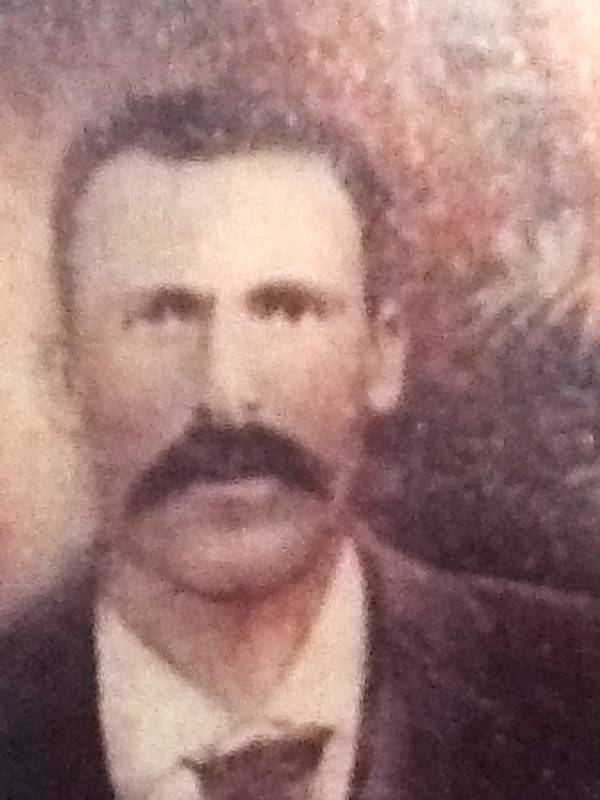 A well known Granville Co ancestor of many Saponi people who relocated to Ohio, was a man named John Anderson (1832-1916) who I previously blogged about in my Anderson entry. 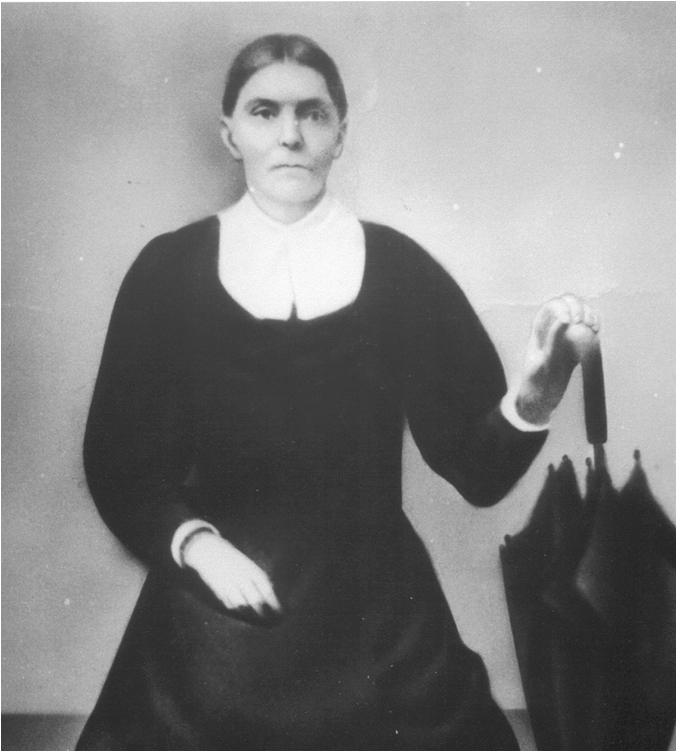 John Anderson’s first wife was Margaret Parker (married Oct 27, 1852) and Margaret Parker was the biological mother to children Margaret Anderson b. 1853, Frances Anderson b. 1855, and Benjamin Anderson b. 1856. Margaret Parker died when the children were just a few years old, and John Anderson remarried Mary Mayo on May 14, 1857 and had additional children with her. 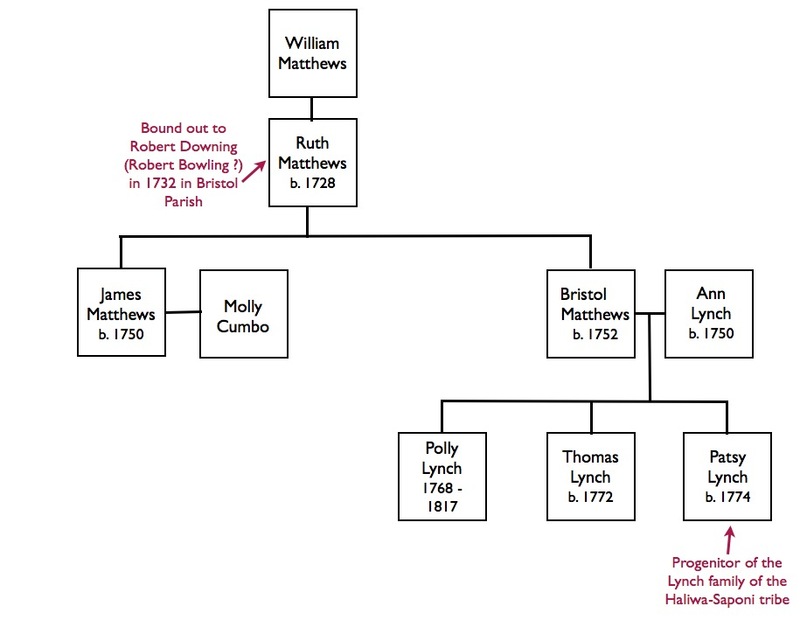 I mention this because many descendants of John Anderson are unaware that Margaret Parker was the mother of John Anderson’s oldest children, so these family trees should be updated with this correct info. I don’t yet know who Margaret Parker’s parents were but I have no doubt she is from this Parker family. 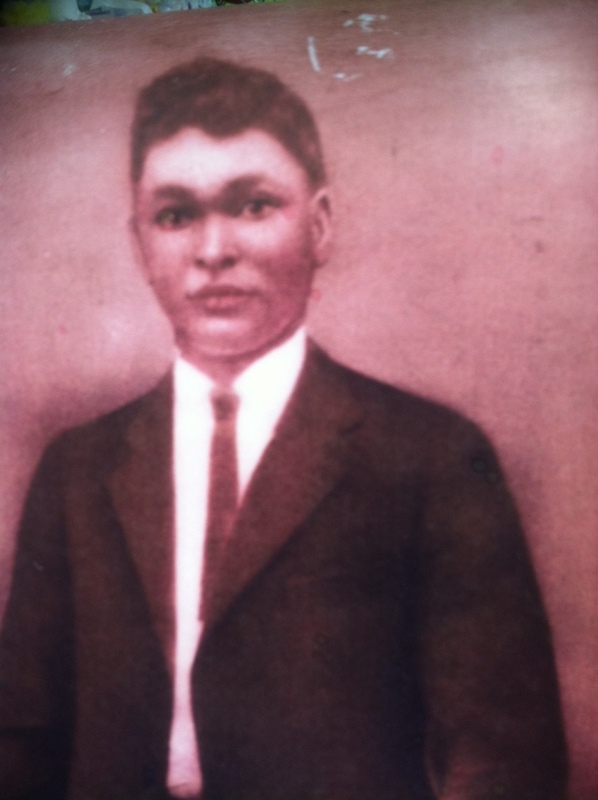 Berry Parker (1882-1949) was the son of Junius Parker and Francis Evans of Fishing Creek township, Granville Co. He was the grandson of Henry Parker and Mahaly Brandon. Finally, we turn to Henry Parker’s sister Polly Parker (b. 1808). The Parker family is also a core family of the Occaneechi Band of the Saponi Nation in neighboring Orange/Alamance Cos, NC. Polly Parker was the mother of Samuel Parker (1825-1908), who was an important person early on in the Occaneechi-Saponi tribal community. 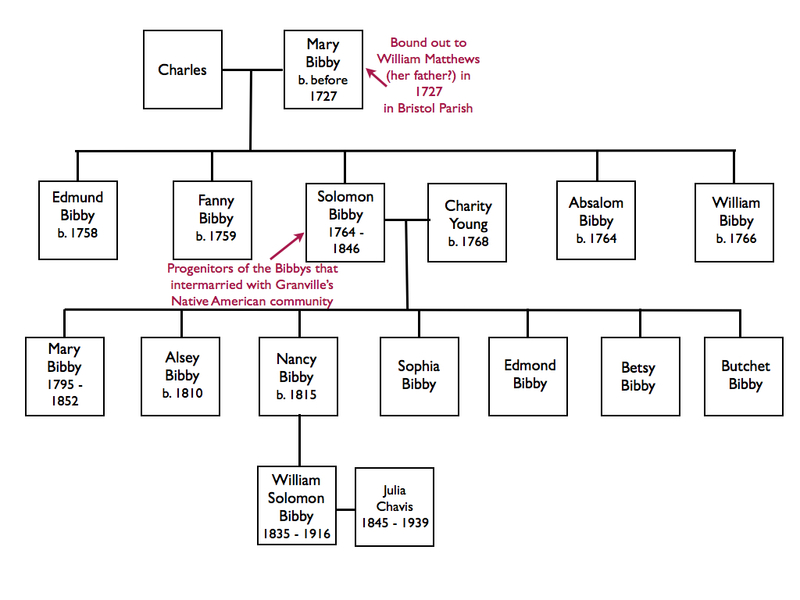 Because Samuel Parker’s parentage has not been fully documented, I’m going to use this section to carefully show how I connected Samuel Parker to Polly Parker. 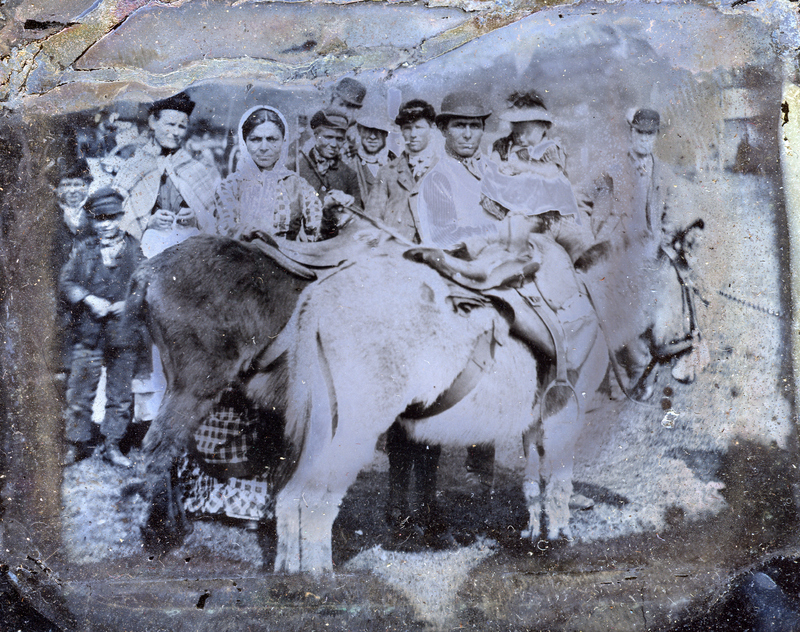 However, it is known from oral tradition that an Indian named Sam Parker moved to the Texas community from the Vance-Granville county area prior to the Civil War. 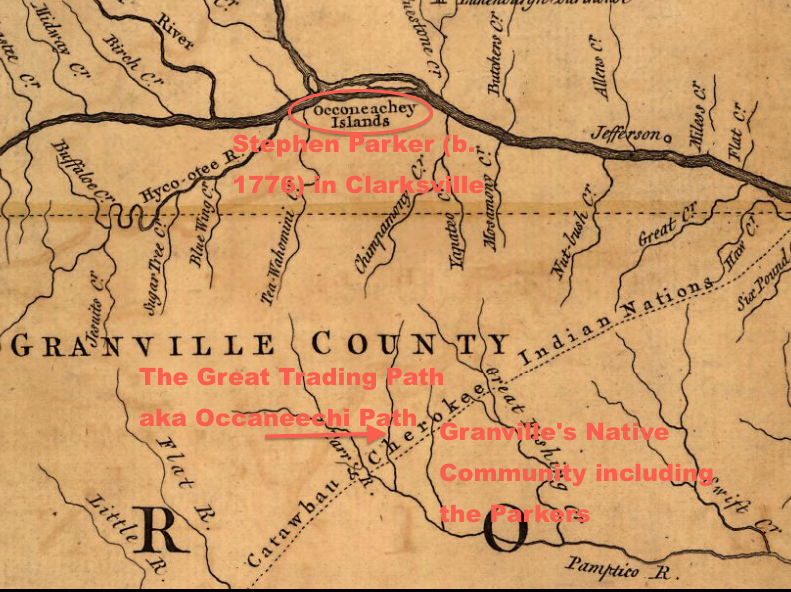 So it is known within the Occaneechi-Saponi community (also referred to as the “Texas community”) that Samuel Parker was an Indian who came from Granville Co, thus situating him within the Parker family of Granville Co discussed above. I cannot stress enough the value of our oral histories to help make sense of what is in recorded history. Polly Parker (b. 1808) of Granville Co had her son Samuel Parker out of wedlock and I have no leads on who fathered her son. Samuel was born in 1825, so Polly became a young, unwed mother. But this changed a few years later when Polly Parker married Thomas Pettiford (b. 1805) on January 17, 1829 in Granville Co. Thomas Pettiford therefore became Samuel Parker’s step-father. Thomas Pettiford (b. 1805) married young unwed mother Polly Parker (b. 1808) on Jan 17, 1829 in Granville Co. Source: North Carolina County Registers of Deeds. Microfilm. Record Group 048. North Carolina State Archives, Raleigh, NC. I have not located the family in the 1830 census, but in 1840 we find the family in the Orange Co census. Their household had 3 members – one adult male aged 24-35 (Thomas Pettiford), one adult female aged 24-35 (Polly Parker) and one young male aged 10-23 (Samuel Parker). Thomas Pettiford (b. 1805) enumerated in 1840 in Orange Co with a household that included wife Polly Parker and stepson Samuel Parker. 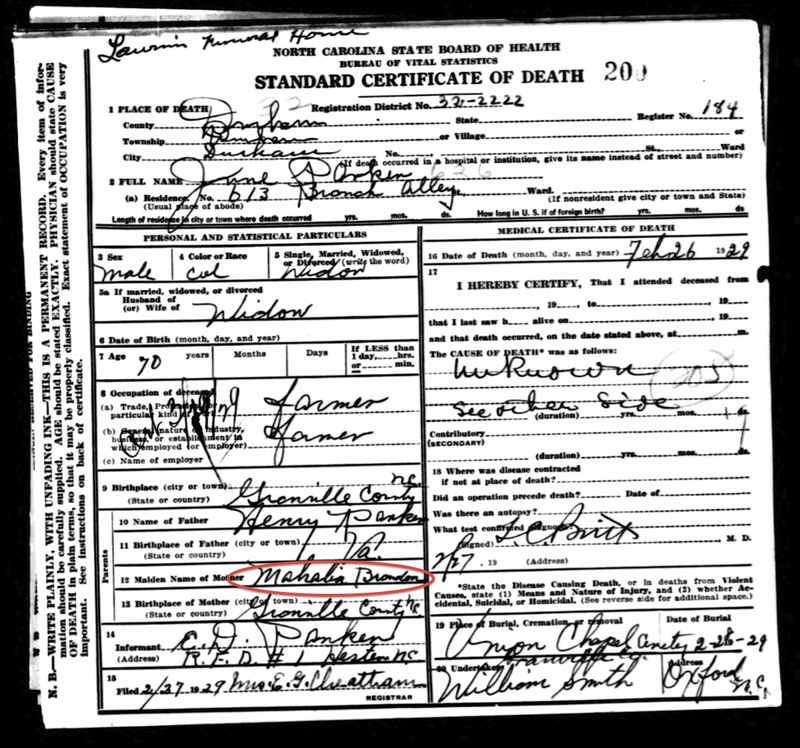 Though no death records exist for this time period, we know that Polly Parker died sometime before 1846, because on September 4, 1846 in Orange Co, Thomas Pettiford remarried Jane Roland. 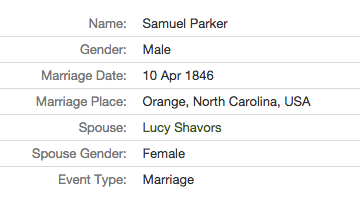 In addition, on April 10, 1846 in Orange Co Samuel Parker married Lucy Chavis. 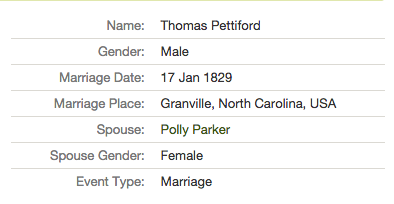 Polly Parker died so Thomas Pettiford married again to Jane Roland on Sep 4, 1846 in Orange Co.
Samuel Parker married Lucy Chavis on Apr 10, 1846 in Orange Co. So the next time we find Thomas Pettiford and his new wife Jane Roland, and Samuel Parker and his new wife Lucy Chavis is in the 1850 census in Alamance Co. In 1849, a section of Orange Co became newly formed Alamance Co and that is where the family was located. 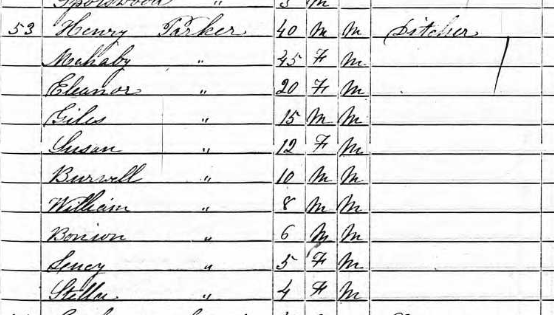 And indeed we can see in the 1850 census, Thomas Pettiford is listed with a wife named Jane, and young children. In the 1850 census for Alamance Co, Samuel Parker’s stepfather Thomas Pettiford is enumerated with his 2nd wife Jane Roland and children. However, in the 1850 census, there is no one named “Samuel Parker” in Alamance or neighboring counties. BUT – there is a “Samuel Pettiford” listed two households above Thomas Pettiford (b. 1805). This Samuel Pettiford has a wife named Lucy and two young children named John and Francis. This is our Samuel Parker, but why is he listed with the Pettiford surname? 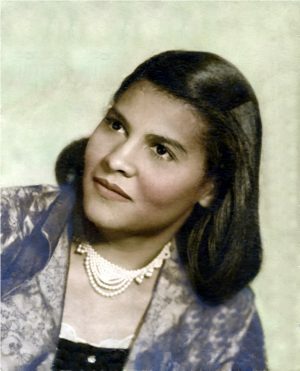 As you will recall, Polly Parker had Samuel Parker out of wedlock but a couple of years later married Thomas Pettiford. 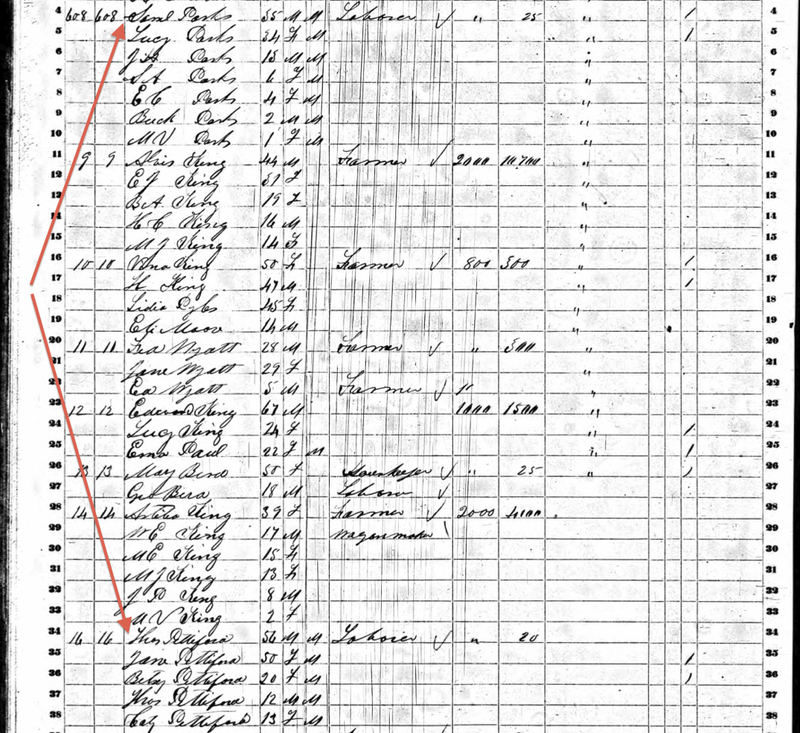 It was not uncommon for children to sometimes be enumerated with the surname of their step parent, and for the 1850 census record, Samuel Parker was enumerated with the Pettiford surname. It could be the enumerator knew or was told that Samuel Parker was a “son” of Thomas Pettiford and assumed they shared the same surname. We may not know the exact reason why, but clearly this is our Samuel Parker. Samuel Parker and his wife Lucy Chavis and children John and Francis were all enumerated with the Pettiford surname in the 1850 census in Alamance Co. Samuel Parker’s stepfather Thomas Pettiford was enumerated two households over. The 1860 census in Alamance Co is almost just as confusing because in that census, Samuel Parker’s surname was mistranscribed as “Parks”. However you can see this Samuel has a wife named Lucy. The enumerator only used initials for the first names of Samuel and Lucy’s children. However you can see the oldest son is listed as “J H Parks” age 13 years. That is Samuel and Lucy’s son John who was enumerated in the 1850 census. 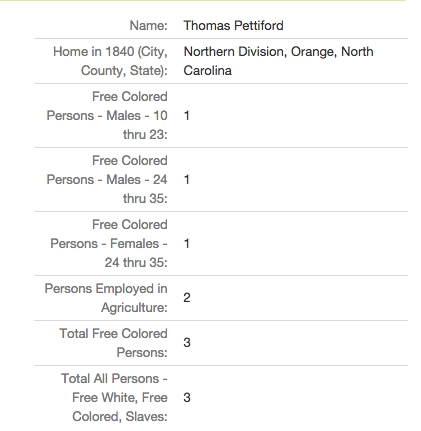 On this same census page is Samuel Parker’s step-father Thomas Pettiford (b. 1805), which provides additional corroboration that this is the correct Samuel Parker. So if you have been researching Samuel Parker and were having trouble locating his family in the 1850 and 1860 censuses, now you know why. Samuel Parker was enumerated as “Samuel Parks” in the 1860 census for Alamance Co. His stepfather Thomas Pettiford was enumerated a few households away. So it appears they both lived in the same location in 1860 as they did in 1850. We next find Samuel Parker in the 1870 census in Alamance Co, and he is finally enumerated with the correct spelling of his name (yay!). And you can see the names and ages of his children, match up with the children in the 1860 census, further verifying that “Samuel Parks” in the 1860 census is our Samuel Parker. 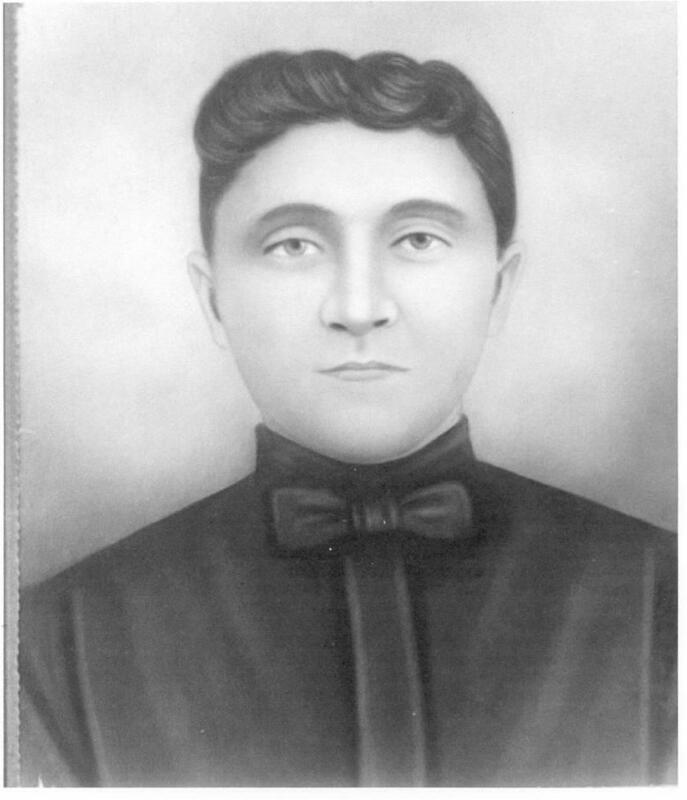 Samuel Parker, wife Lucy “Lucinda” Chavis and children are correctly enumerated with the Parker surname in the 1870 census in Alamance Co.
Samuel Parker and Lucy Chavis’ children and later descendants continued to intermarry with other Occaneechi-Saponi families of Orange/Alamance Cos including Jeffries, Haithcock, Guy, Burnett, and Day. In 1902, Samuel Parker registered to vote in Alamance Co and in order to register, Samuel identified a “Jack Parker” of Virginia as an ancestor who was legally able to vote in 1865. 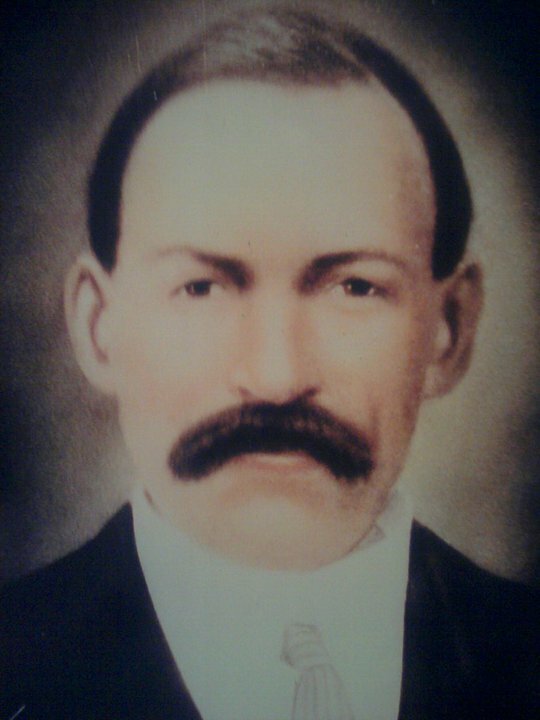 I along with other researchers including Forest Hazel have not been able to identify this “Jack Parker” that Samuel Parker references as an ancestor. 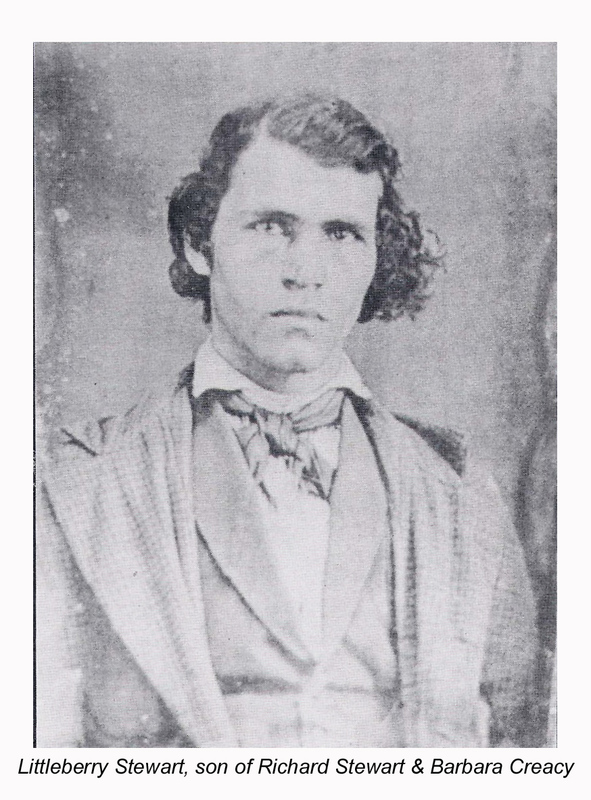 Samuel Parker may have been referring to his possible grandfather Stephen Parker (b. 1778) of Mecklenburg Co, VA. Whoever this Jack Parker was in reference to, we can certainly glean from that voting registration, the Samuel Parker was aware of the Virginia roots of the Parker family. 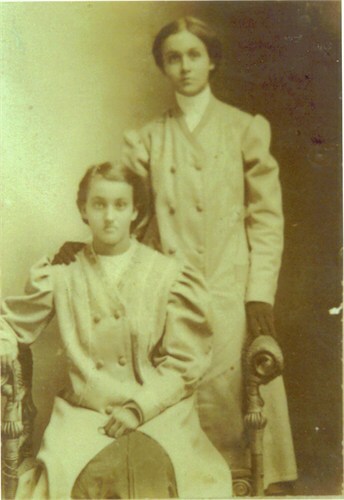 Monroe Parker (1861-1943) and wife Margaret Jeffries (1877-1949). Monroe was the son of Samuel Parker and Lucy Chavis of Orange/Alamance Cos. Monroe and Margaret Parker are both buried at Martin’s Chapel in Pleasant Grove township. Cardovious Parker (1886-1970) was the son of the above pictured Monroe Parker and Margaret Jeffries. Cardovious was a grandson of Samuel Parker and Lucy Chavis of Orange/Alamance Cos. He is buried at Martin’s Chapel in Pleasant Grove township. 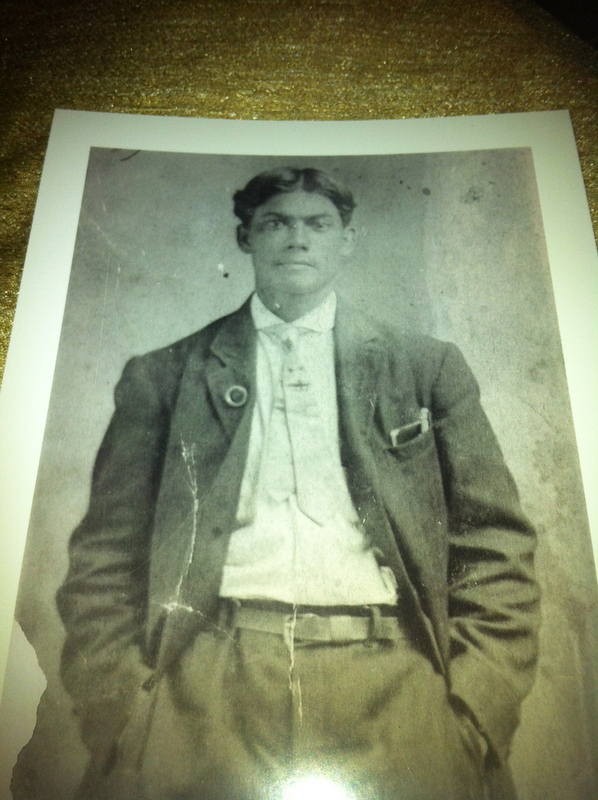 George Samuel Parker (1867-1952) was the son of Samuel Parker and Lucy Chavis of Orange/Alamance Cos. He is buried at Martin’s Chapel in Pleasant Grove township. Sisters Connie Parker (1891-1927) and Lizzie Parker (1896-1952). They were the daughters of George Samuel Parker and Mary Haith. They were the granddaughters of Samuel Parker and Lucy Chavis of Orange/Alamance Cos. They are both buried at Martin’s Chapel in Pleasant Grove township. I have not found a record that directly ties the Parker family to the Occaneechi or Saponi during the colonial period, but there are some circumstances to consider. The earliest “free colored” Parkers are found in Mecklenburg Co living among other families that in other blog posts (and more to come), that I have connected to the Saponi people. 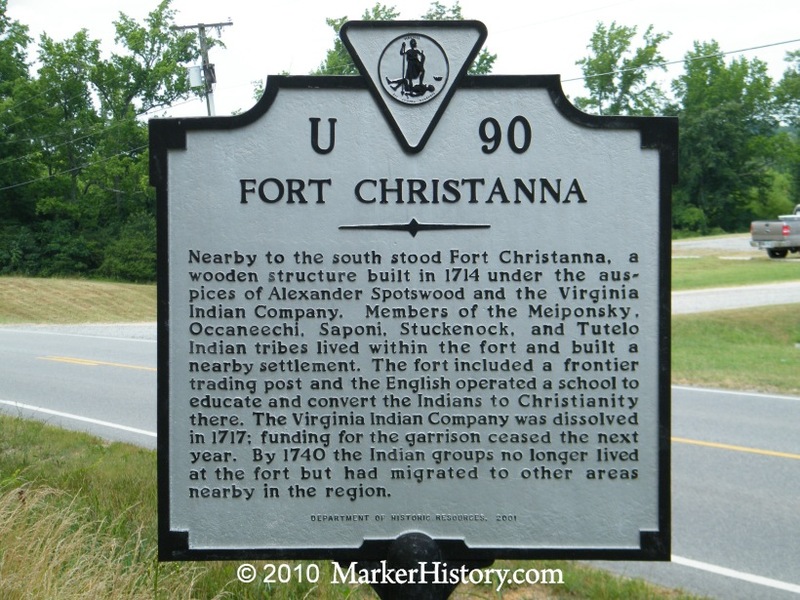 Mecklenburg Co is next to Fort Christanna, site of the former Saponi reservation, and we know that the Saponi continued living in and around the fort many decades following its closure in 1718. 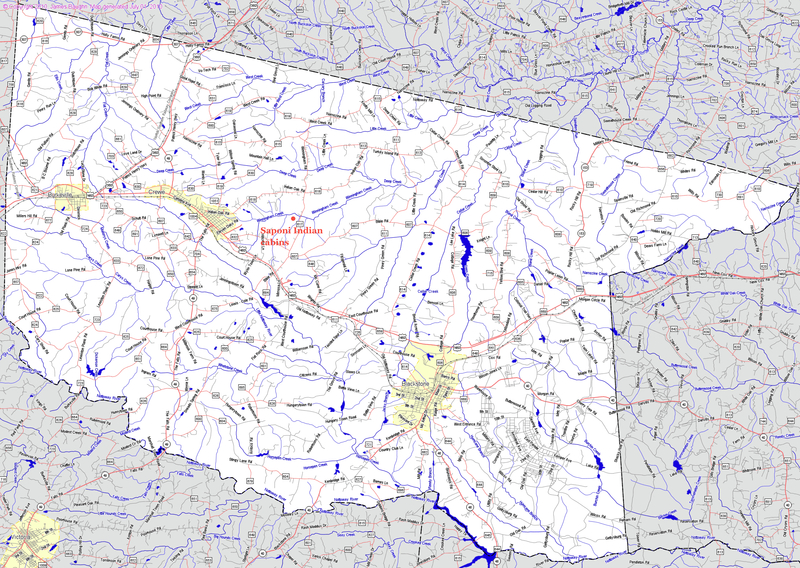 And specifically, Mecklenburg Co is the site of “Occaneechi Island”, a historically significant site of the Occaneechi/Saponi people. During a colonial armed rebellion in 1676 known as “Bacon’s Rebellion”, some of the British colonists took up arms against the colonial government and also attacked friendly “tributary” tribes of the colony including the Occaneechi. 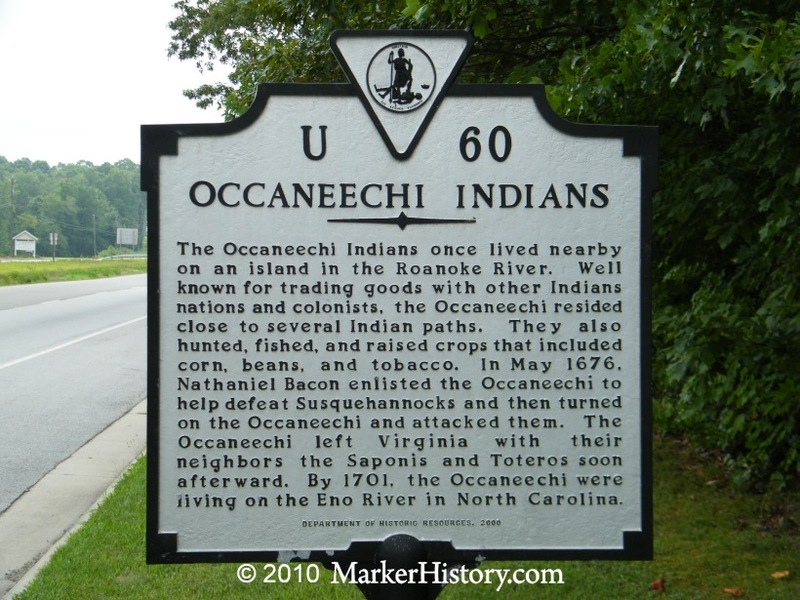 To escape this armed conflict, the Occaneechi fled to the site of Occaneechi Island which is a large island located in the middle of the Roanoke River in Mecklenburg Co which during this time was outside of the core of the Virginia colony. 1755 Edition of the Fry-Jefferson map shows the location of Occaneechi “Occoneachey” Islands. This is also the site of the modern town of Clarksville and where Stephen Parker (b.1 776) first appears in the records. Granville’s Native American community is a very short distance away. Additionally, Forest Hazel (via personal communication and here), identified a Thomas Parker who purchased land in Tabbs Creek in Granville County in 1752. 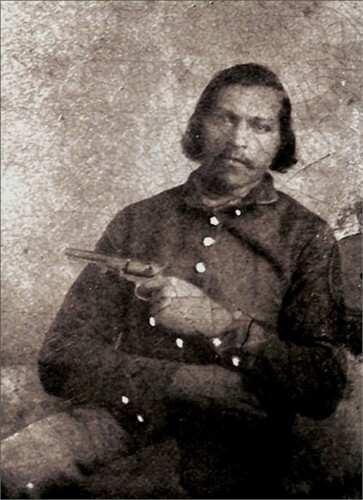 This land purchase placed Thomas Parker next to community founder William Chavis and perhaps there was a connection between the two men. It’s quite possible the Parker family was moving back and forth from Mecklenburg Co, VA to Granville Co, NC since the 1700s. 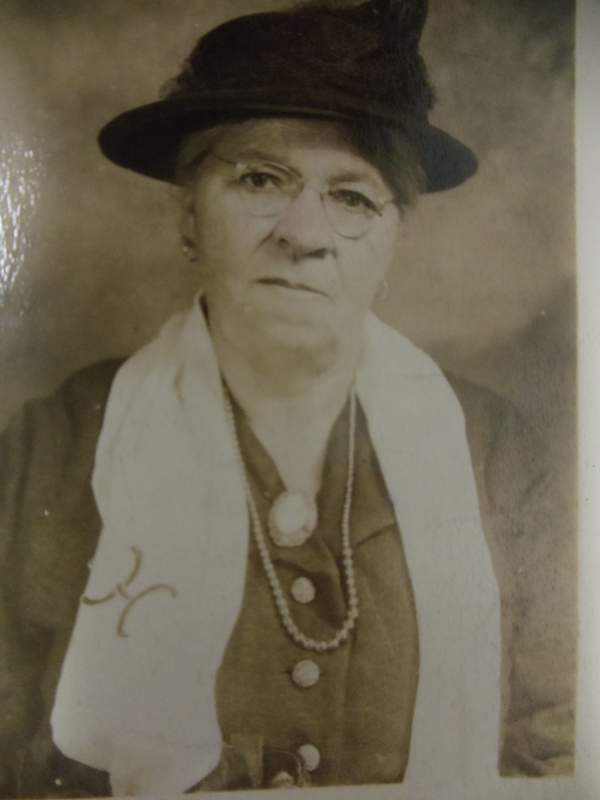 Certainly more research is needed to further explore the tribal origins of the Parker family and I hope this blog post will push that research forward.